A new service has been launched that is designed to pair skiers and boarders at all levels with the best ski guides and instructors in resorts across Europe. Working in a similar way to other websites where service providers are chosen for their excellence then rated by past customers, Ongosa allows you to find and book qualified, highly recommended mountain guides and snowsport instructors to enhance the skills of the modern mountain enthusiast at all levels. The British-based business has access to over 1000 of mountain sport professionals with expert knowledge, experience and skill located across Europe with a network of 150 boutique schools and guiding agencies. During an initial soft launch earlier this year Ongosa reported a 100% success rate in improving the quality of their customers mountain trip. 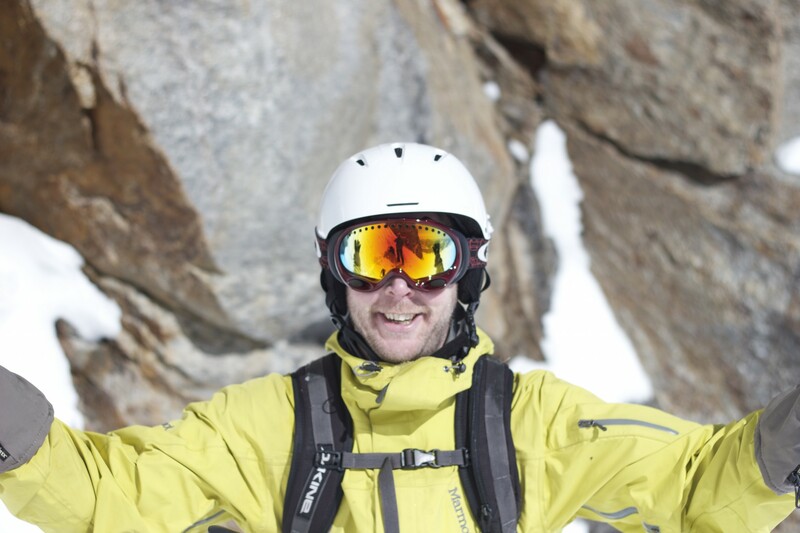 Ongosa, which translates from the Swahili, meaning ‘to guide and to lead’ is the brainchild of mountain sports addict Richard Smith (Pictured above and in the powder, top) who has been working on setting up the service since 2014. Ongosa’s community includes instructors of all levels in ski and snowboard, as well as specialist professionals in mountaineering, heli-guiding, trekking, backcountry and climbing across Europe. All instructors on Ongosa have been carefully selected for their experience, qualifications and love of the mountains, Richard says.